The royally-bred Panzer Division is a son of dual Group 1 winner Desert Fight and Champion sire Redoute's Choice. 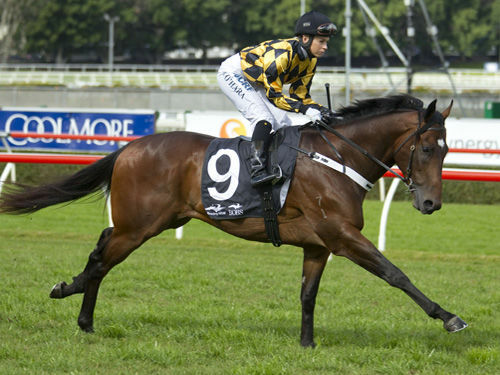 An impressive debut winner at 2YO, the talented colt showed his exceptinal ability early. He resumed as a spring 3YO with the narrowest of defeats to Scissor Kick in a tight photo, beating subsequent Group 1 Caulfield Guineas winner Shooting To Win. He then took out the Group 3 Ming Dynasty Stakes at only his third start, once again defeating the same top colts. At only his fourth career start Panzer Division was fifth in the weight-for-age ATC George Main S. 1600m G1 to Sacred Falls and Royal Descent. That performance earned him a Timeform rating of 120 and his Autumn prospects looked bright, but injury forced an end to his career. In only seven career starts, Panzer Division defeated older Group 1 winners Boban, Lucia Valentina and Delecation, highlighting his exceptional talent. Trainer Paul Messara says, "Panzer Division is close to the perfect thoroughbred horse on conformation and presence, he's a stunning individual." "He also had a huge amount of ability and we had high aspirations for him, but his career was cut short by injury in the Hobartville Stakes." Panzer Division is a magnificent example of the continued strength and success of the Danehill sire-line, through the dominant sire of sires Redoute’s Choice. Dam Desert Fight was the Champion 2YO of Chile after winning her 2nd start by an astonishing 13 ½ lengths. At her fourth start she took out her first Group 1 by 7 lengths. She returned at three to take out the Chilean equivalent of the Thousand Guineas 1600m (Hipodromo Chile Clasico Mil Guineas) by 6 lengths. In a brief two-start campaign overseas as a 3YO, Desert Fight ran 4th in both the UAE One Thousand Guineas and Listed Lady’s Secret S. at Monmouth Park, USA. 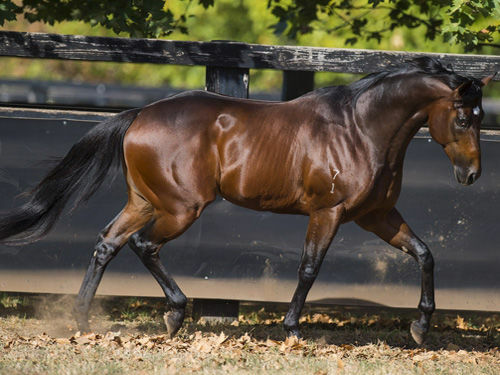 Desert Fight is by Hussonet, a 7-time Champion Sire in Chile before being acquired to stand in Australia, where he sired the 7-time Group 1 winner Weekend Hussler and Blue Diamond S. G1 winner Reaan. Hussonet is building a formidable record as a broodmare sire with 10 Group 1 winners already on his resume, including this season’s dazzling 2YO Extreme Choice (Not A Single Doubt), winner of the Blue Diamond S. G1. Like Panzer Division, Champion South African filly Majmu is also by Redoute’s Choice and out of a Hussonet mare. Desert Fight’s dam Mozinha was also a top performer, placing in two Group-3 races at three. She is a half-sister to Tigrona, dam of the Champion 2YO colt in Chile, Axel Von Georgy. REDOUTE'S CHOICE Champion 3YO Miler in Australia in 1999-2000. Joint Champion 3YO in Aust/NZ in 1999-2000. 5 wins-2 at 2-from 1100m to 1600m, A$1,567,850, MVRC Manikato S., Gr.1, VATC Blue Diamond S., Gr.1, Caulfield Guineas, Gr.1, CF Orr S., Gr.1, Veuve Clicquot S., L, 2d MVRC Australia S., Gr.1, 3d VATC Futurity S., Gr.1, Vic Health Cup, Gr.1, 4th VRC Ascot Vale S., Gr.2. He entered stud in Aust. in 2000. Champion Aust. Sire in 2005-06, 2009-10, 2013-14, second in 2008-09, 2010-11, third in 2004-05, 2006-07, 2011-12. Champion Aust. Sire (AEI) in 2004-05, 2005-06, 2006-07. Champion Aust. Sire of 2YOs in 2004-05, 2005-06. . Sire of 1170 progeny to race, 889 winners (75.0%), earnings of over $131 million, 137 stakes winners, 106 stakes placegetters, inc.
MISS FINLAND (03f, Woodman, Sadler's Wells). Champion 2YO & 3YO Filly in Australia in 2006 & 2007.11 wins-3 at 2-from 1000m to 2500m, A$4,632,775, STC Golden Slipper S., Gr.1, VRC Oaks, Gr.1, VRC Australian Guineas, Gr.1, MRC Thousand Guineas, Gr.1, STC Arrowfield Stud S., Gr.1, MRC Memsie S., Gr.2, Angus Armanasco S., Gr.2, HDF McNeil S., Gr.3, Tranquil Star S., Gr.3, VRC Talindert S., L, MRC Pleach 2YO P., 2d AJC Champagne S., Gr.1, MRC Blue Diamond S., Gr.1, Underwood S., Gr.1, Yalumba S., Gr.1, VRC Edward Manifold S., Gr.2, 3d MRC Futurity S., Gr.1, 4th MVRC WS Cox P., Gr.1, MRC CF Orr S., Gr.1, STC Reisling Slipper Trial S., Gr.2. LANKAN RUPEE (09g, Stravinsky, Zabeel). Equal Head of the 2014 World Thoroughbred Rankings (Sprint). 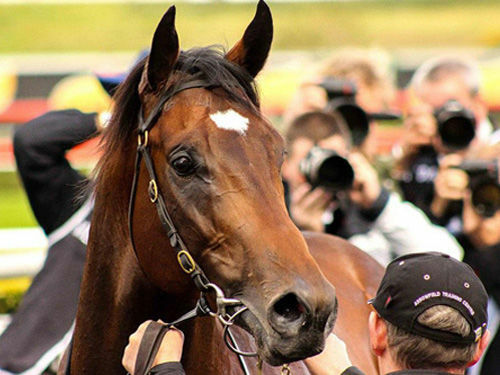 Horse of the Year & Champion Sprinter in Australia in 2013-14.11 wins to 1200m, A$4,094,510, ATC TJ Smith S., Gr.1, VRC Newmarket H., Gr.1, Lightning S., Gr.1, MRC Oakleigh P., Gr.1, MVRC Manikato S., Gr.1, MRC Rubiton S., Gr.2, Kevin Heffernan S., Gr.3, VRC Dilmah Earl Grey S., L, MRC KS Environmental P., MVRC Essendon Mazda 55 Second Challenge Heat H., 2d MVRC AJ Moir S., Gr.1, Ian McEwen S., Gr.2, VRC Living Legends H., 3d VRC Darley Classic, Gr.1, MRC Schillaci S., Gr.2, Caulfield Sprint H., Gr.2, Blue Sapphire S., MVRC Essendon Mazda 55 Second Challenge H., 4th VRC Darley Classic, Gr.1. SAMANTHA MISS (05f, Zabeel, Bold Venture). Champion 3YO Filly in Australia in 2009.7 wins-2 at 2-from 1150m to 2500m, A$1,763,260, VRC Oaks, Gr.1, AJC Champagne S., Gr.1, Flight S., Gr.1, Furious S., Gr.2, STC Tea Rose S., Gr.2, AJC Silver Shadow S., Gr.3, Wattle Grove 2YO H., 2d AJC Sires Produce S., Gr.1, Light Fingers S., Gr.2, 3d MVRC WS Cox P., Gr.1, AJC Sweet Embrace S., Gr.3, 4th STC Magic Night S., Gr.2. MAJMU (11f, Hussonet, Smooth Performance). Champion 2YO Filly in South Africa in 2013-14.6 wins-3 at 2-from 1000m to 1600m, R2,325,000, Kenilworth Cape Fillies Guineas, Gr.1, Turffontein Empress Club S., Gr.1, South African Fillies Nursery, Gr.2, Pretty Polly S., Gr.3, Ruffian S., L, Starling S., L, 2d Turffontein Presidents Champions Challenge, Gr.1, 4th Turffontein Johannesburg Spring Fillies & Mares Challenge, Gr.2. MELITO (06f, Marauding, Prince True). 5 wins-1 at 2-to 1400m, A$1,934,050, AJC TJ Smith S., Gr.1, Qld Tatt's RC Winter S., Gr.1, AJC Furious S., Gr.2, ATC Apollo S., Gr.2, STC Silver Slipper S., Gr.2, 2d AJC All Aged S., Gr.1, ATC Queen of the Turf S., Gr.1, BRC Stradbroke H., Gr.1, BTC Cup, Gr.1, MRC Thousand Guineas, Gr.1, STC Reisling S., Gr.2, Tea Rose S., Gr.2, AJC Silver Shadow S., Gr.3, Widden S., L, 3d ATC Coolmore Classic, Gr.1, BRC Doomben Ten Thousand S., Gr.1, VRC Wakeful S., Gr.2, STC Birthday Card S., Gr.3, 4th AJC Flight S., Gr.1, ATC All Aged S., Gr.1. WYLIE HALL (09c, Ideal Planet, Sovereign Edition). 6 wins from 1400m to 2450m, R3,694,625, South African Derby, Gr.1, Turffontein Presidents Champions Challenge, Gr.1, Colorado King S., Gr.2, Derby Trial, L, Cape Summer of Champions Pinnacle S., 2d Greyville Durban July H., Gr.1, Turffontein Soccer 10 H., Egoli Mile, 3d Turffontein London News S., Gr.3, 4th Greyville Daily News 2000 S., Gr.1, Turffontein Horse Chestnut S., Gr.1, Presidents Champions Challenge, Gr.1. FASHIONS AFIELD (02f, Wild Again, Bletchingly). Champion 2YO filly in Australia in 2004-05.6 wins-4 at 2-from 1200m to 1600m, A$1,974,110, AJC Sires' Produce S., Gr.1, Flight S., Gr.1, STC Reisling Slipper Trial S., Gr.2, Gold Coast Guineas, L, AJC Meriton Serviced Apartments 2YO H., STC Riverina Charm 2YO H., 2d STC Golden Slipper S., Gr.1, AJC Champagne S., Gr.1, Qld Tatt's RC Winter S., Gr.1, Queensland Guineas, Gr.2, STC Expressway S., Gr.2, Tea Rose S., Gr.2, AJC Silver Shadow S., Gr.3, GCTC Magic Millions 3YO Trophy, L, 3d STC Premiere S., Gr.2, 4th STC Queen of the Turf S., Gr.1, VRC Ascot Vale S., Gr.2, STC Apollo S., Gr.2, Missile S., Gr.3. KING'S ROSE (07f, Nureyev, Manila). 8 wins-1 at 2-from 1000m to 2000m, NZ$391,390, A$772,100, New Zealand One Thousand Guineas, Gr.1, ARC Royal S., Gr.2, MRC Memsie S., Gr.2, MVRC WH Stocks S., Gr.2, Waikato RC Sir Tristram Fillies Classic, Gr.2, Manawatu RC Eulogy S., Gr.3, Ashburton RC Ray Coupland S., L, 2d VRC Emirates S., Gr.1, MRC Toorak H., Gr.1, VRC Gilgai S., Gr.2, MRC Moonga S., Gr.3, 3d ATC Coolmore Classic, Gr.1, Queen of the Turf S., Gr.1, 4th Hawkes Bay Lowland S., Gr.3. MUSIR (06c, Encosta de Lago, Mill Reef). Champion 2YO Colt in South Africa in 2008-09. Champion 3YO Miler in UAE in 2010.8 wins-2 at 2-from 1000m to 1900m, £8,608, ¬ 270,000, R377,125, HK$1,200,000, 6,978,575Dhs, Greyville Golden Horseshoe S., Gr.1, UAE Derby, Gr.2, Istanbul Topkapi Trophy, Gr.2, Meydan Al Rashidiya S., Gr.2, UAE Two Thousand Guineas, Gr.3, Al Maktoum Challenge Round 1 S., Gr.3, UAE 2000 Guineas Trial S., 2d Meydan Al Maktoum Challenge Round 3 S., Gr.2, Zabeel Mile S., Gr.2, Firebreak S., L, Clairwood Gatecrasher S., 3d HKJC BMW Champions Mile, Gr.1, Newbury Hungerford S., Gr.2, Meydan Burj Nahaar S., Gr.3, 4th Meydan Al Fahidi Fort S., Gr.2. 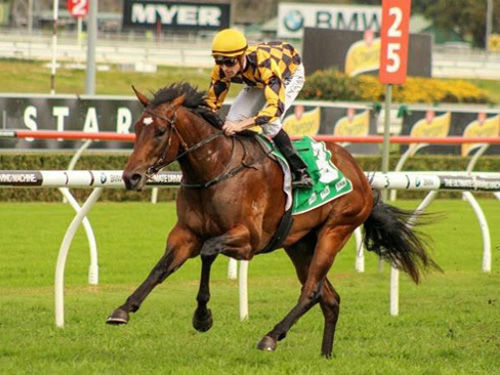 SNITZEL (02c, Snippets, Storm Bird). 7 wins-4 at 2-to 1200m, A$1,031,550, MRC Oakleigh P., Gr.1, AJC Challenge S., Gr.2, Up & Coming S., Gr.3, STC Skyline S., Gr.3, AJC Breeders' P., L, BTC Tommy Smith Slipper S., L, Wyong RC Strawberry Hill Slipper S., 2d VRC Newmarket H., Gr.1, 3d AJC TJ Smith S., Gr.1, San Domenico S., Gr.3, GCTC Magic Millions 2YO Classic S., L, 4th AJC All-Aged S., Gr.1, MVRC Manikato S., Gr.1. BONARIA (08f, Last Tycoon, Twig Moss). 8 wins-1 at 2-from 1100m to 1600m, A$951,319, VRC Myer Classic, Gr.1, Schweppervescence Trophy, Gr.3-twice, MRC Mannerism S., Gr.3, VRC Lort Smith Animal Hospital H., MRC The Age H., Sportingbet H., 2d VRC Blazer S., Gr.2, MRC Ladies Day Vase, Gr.3, Geoffrey Bellmaine S., Gr.3, 3d MRC Geoffrey Bellmaine S., Gr.3, Vintage Photobooth H., VRC Peter Rowland Catering H., MRC Responsible Gambling Awareness Week H., Race-Tech 2YO H., 4th VRC Let's Elope S., Gr.2-3 times, MVRC Sunline S., Gr.2, MRC Summoned S., Gr.3, WW Cockram S., Gr.3. ANAMATO (03f, Whiskey Road, Sovereign Edition). 4 wins-1 at 2-from 1500m to 2000m, US$90,000, A$861,850, SAJC Australasian Oaks, Gr.1, VRC AV Kewney S., Gr.2, Moonee Valley Fillies Oaks Classic, Gr.2, SAJC Sires' Produce S., Gr.3, 2d VRC Danehill S., Gr.3, MRC Tranquil Star S., Gr.3, AJC Fernhill H., L, VRC Isca 2YO P., 3d VRC Oaks, Gr.1, Hollywood Park American Oaks, Gr.1, MRC Yalumba S., Gr.1, VRC Wakeful S., Gr.2, Thoroughbred Breeders S., Gr.3, MRC Kevin Hayes S., L, 4th MVRC JRA Cup, L.
PEEPING (11f, Encosta de Lago, Don't Say Halo). 6 wins to 1500m to 2015-16, A$889,535, ATC Coolmore Classic, Gr.1, Golden Pendant, Gr.2, Darby Munro S., L, Anthony Cullen H., Fairfield RSL Club H., 2d ATC Triscay S., Gr.3, PJ Bell S., Gr.3, Fireball S., L, 3d ATC Guy Walter S., Gr.2, Hyland Race Colours H.
HOWARD BE THY NAME (12c, Faltaat, Defensive Play). 5 wins from 1600m to 2500m in 2015-16, A$598,390, South Australian Derby, Gr.1, SAJC Chairman's S., Gr.3, Port Adelaide Guineas, L, 2d Tasmanian Derby, L, MRC Grand Hotel Frankston P., MVRC CRT Whites Rural P., 3d BRC Grand Prix S., Gr.3, 4th BRC Queensland Derby, Gr.1. ROYAL DESCENT (09f, Kaapstad, Palace Music). 5 wins from 1200m to 2400m to 2015-16, A$2,709,780, Australian Oaks, Gr.1, ATC Warwick S., Gr.2, Adrian Knox S., Gr.3, Seasons Greetings P., Australian Turf Club H., 2d ATC George Main S., Gr.1-3 times, Doncaster H., Gr.1, Epsom H., Gr.1, VRC Turnbull S., Gr.1, ATC Warwick S., Gr.2, Chelmsford S., Gr.2, Toy Show H., Gr.3, Illawarra TC Keith F Nolan Classic, Gr.3, 3d ATC Doncaster H., Gr.1, Queen Elizabeth S., Gr.1, NSW Tatt's RC Chelmsford S., Gr.2, ATC Tramway S., Gr.3, Tab.com.au H., 4th ATC George Ryder S., Gr.1, Millie Fox S., Gr.2, Surround S., Gr.2. REDOUTE'S DANCER (03c, El Gran Senor, Condorcet). Top of the 2006-07 NZ 3YO Free H. (1650m+).4 wins from 1800m to 2400m, NZ$480,000, A$87,450, New Zealand Derby, Gr.1, ARC Championship S., Gr.2, AJC Mosman H., 2d AJC AH Beard Toparoa H., Pepsi Max H.
EMPIRES CHOICE (03c, Star Way, Sir Tristram). 3 wins from 1500m to 2400m, A$895,075, Queensland Derby, Gr.1, BTC Rough Habit P., Gr.3, 2d STC Pago Pago S., Gr.2, AJC Frank Packer P., Gr.3, Skyline S., Gr.3, STC Golden Rose S., Gr.3, AJC Carbine Club S., L, 3d AJC George Main S., Gr.1, STC Rotary Awareness P.
ABBEY MARIE (12f, Catrail, Pleasant Colony). 3 wins from 1300m to 2000m in 2015-16, A$315,870, SAJC Schweppes Oaks, Gr.1, MRC Cove Hotel P., JRA H.
GOD'S OWN (02c, Sky Chase, Showdown). Joint Head of The 2005-06 Australasian 3YO Classification.3 wins-1 at 2-at 1200m, 1600m, A$999,500, MRC Caulfield Guineas, Gr.1, AJC Ladies Auxilary 2YO H., STC Mounties H., 2d VRC Lightning S., Gr.1, MRC Schweppervescence Cup, Gr.3, Guineas Prelude, Gr.3, 4th STC Golden Rose S., L.
DOUBTING (02f, Sovereign Red, Baguette). 6 wins-2 at 2-from 1000m to 1600m, A$782,750, VRC AV Kewney S., Gr.2, MRC Blue Diamond Prelude (f), Gr.3, Tranquil Star S., Gr.3, AJC Wiggle H., L, STC Triscay S., L, 2d STC Coolmore Classic, Gr.1, MRC Angus Armanasco S., Gr.2, 3d MRC WW Cockram S., Gr.3, Boronia S., L, Quezette S., L, 4th Qld Tatt's RC Winter S., Gr.1. ABIDEWITHME (09f, Zabeel, Mellay). 9 wins from 1200m to 2000m to 2016-17, NZ$378,200, A$63,750, BOP RC Tauranga S., Gr.2, Cambridge JC Travis S., Gr.2, WRC Anniversary H., L, Ashburton RC Ray Coupland S., L, MRC Cape Grim Beef P., ARC Hallmark Yearlings 3YO Mile, Augusta Capital H., New Zealand Herald H., 2d Te Aroha JC New Zealand Thoroughbred Breeders' S., Gr.1, Cambridge JC Travis S., Gr.2, ARC Westbury Classic, Gr.3, Sofitel Luxury Hotels S., Gr.3, 3d Te Aroha JC New Zealand Thoroughbred Breeders' S., Gr.1, ARC Blue Bubble Taxis H., 4th Hawkes Bay Makfi Challenge S., Gr.1, Waikato RC Cal Isuzu S., Gr.2, ARC Westbury Classic, Gr.3. TICKETS (06c, Success Express, Best Western). 4 wins-2 at 2-to 1500m, A$579,100, STC Pago Pago S., Gr.2, Phar Lap S., Gr.2, AJC Canonbury S., L, VRC Poseidon S., L, 2d AJC Sires Produce S., Gr.1, Champagne S., Gr.1, 4th VRC Coolmore Stud S., Gr.1, AJC Skyline S., Gr.3. BISHOPS ROCK (01c, Sir Tristram, Kings Lake). 7 wins-1 at 2-from 1000m to 2200m, R719,910, Greyville Astrapak H., Gr.2, Turffontein Colorado King S., Gr.2, Scottsville Michael Roberts H., L, Turffontein Sun City H., 2d Turffontein South African Nursery P., Gr.1, Protea S., Gr.2, 3d Newmarket Sea Cottage S., L.
VAVASOUR (11f, Red Ransom, Last Tycoon). 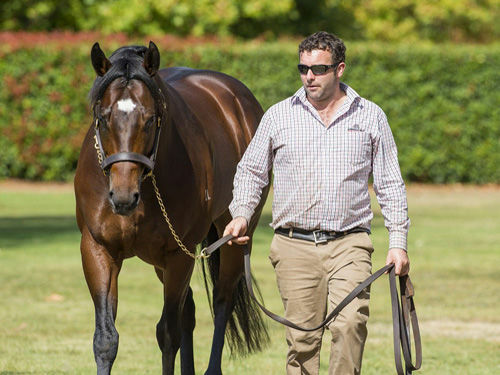 5 wins from 1600m to 2400m to 2015-16, NZ$260,450, Waikato RC Sir Tristram Fillies Classic, Gr.2, Counties Cup, Gr.3, Waikato Cup, Gr.3, ARC Dunstan Feeds Championship Qualifier H., 2d ARC Royal S., Gr.2, Avondale 2YO Classic, Te Aroha JC Piako Rural Services 2YO H., 3d ARC Soliloquy S., L, 4th ARC Sofitel Luxury Hotels S., Gr.3. GALAH (08c, Distorted Humor, Southern Appeal). 5 wins-1 at 2-from 1300m to 1600m, A$587,700, BRC QTC Cup, Gr.2, VRC Carbine Club S., Gr.3, MRC Gothic S., L, ATC Wyndham Estate 2YO H., Follow Royal Randwick on Facebook H., 2d VRC Tab.com.au S., Gr.3, ATC Maroubra 2YO H., VRC Momentum Energy Trophy H., 3d MRC Sandown Guineas, Gr.2, ATC Carbine Club S., Gr.3, MRC Moonga S., Gr.3, Sandown S., Gr.3, ATC Festival S., L, 4th VRC Gilgai S., Gr.2. SISTER MADLY (06f, Bureaucracy, Grosvenor). 4 wins at 1200m, A$680,180, VRC Seppelt Salinger S., Gr.2, ATC Southern Cross S., Gr.3, MRC How Now S., Gr.3, STC Myer H., 2d AJC Flight S., Gr.1, MVRC Manikato S., Gr.1, MRC Tristarc S., Gr.2, SAJC Yallambee Classic, Gr.2, AJC Reginald Allen H., L, 3d SAJC Robert Sangster S., Gr.1, STC Sheraco H., L, AJC Victory Vein P., 4th MRC Sir Rupert Clarke S., Gr.1. REKINDLED INTEREST (07g, Rainbow Quest, The Minstrel). 3 wins-1 at 2-from 1000m to 2050m, A$921,300, MVRC AAMI Vase, Gr.2, Dato' Tan Chin Nam S., Gr.2, 2d ATC George Ryder S., Gr.1, VRC Aurie's Star H., Gr.3, MVRC Chandler Macleod S., L, 3d MVRC WS Cox P., Gr.1, VRC LKS Mackinnon S., Gr.1, MVRC Dato' Tan Chin Nam S., Gr.2, 4th MRC Memsie S., Gr.2, MVRC Mitchell McKenzie S., L.
EL DAANA (04f, Sunday Silence, Avenue of Flags). 2 wins-1 at 2-at 1100m, 1600m, A$365,400, VRC Edward Manifold S, Gr.2, SAJC Queen Adelaide S., L, 2d SAJC Schweppervescence S., L, 3d VRC Matriarch S., Gr.2, MRC Angus Armanasco S., Gr.2, 4th VRC Myer Classic, Gr.1, South Australian Derby, Gr.1, SAJC Schweppes Oaks, Gr.1, MRC Quezette S., L.
INTO THE MIST (11f, Encosta de Lago, Southern Appeal). 5 wins from 1200m to 1600m to 2015-16, A$229,580, SAJC Queen of the South S., Gr.2, Eddie the Eagle H., William Hill H., Schweppes H., 2d MRC Ladies Day Vase, Gr.3, SAJC Laelia S., L, 3d MVRC Adapt Australia H., 4th SAJC Adelaide Guineas, L.
VARENNA MISS (06f, Bite the Bullet, Afleet). 5 wins to 1300m, A$365,100, BRC QTC Cup, Gr.2, Act for Kids H., MRC Carlton Draught P., City of Glen Eira H., 2d MRC Hyderabad Race Club S., Gr.3, 3d SCTC Glasshouse H., L, MRC Cendrillon H., 4th BTC Cup, Gr.1, MRC Oakleigh P., Gr.1. KEBEDE (12f, Hussonet, Mocito Feliz). 4 wins from 1200m to 2000m in 2015-16, A$198,460, BRC The Roses S., Gr.2, Secutor Securities H., 2d BRC Rosie Eccles P., 3d Gold Coast Bracelet, L, 4th SCTC Princess S., L.
GIRL GONE ROCKIN' (08f, Just a Dancer, Beaufort Sea). 4 wins from 1400m to 2050m, A$291,080, VRC Matriarch S., Gr.2, MVRC Melbourne Neonatal Network H., 2d ATC Cornucopia Committee Inc H., MVRC Corporate Interiors Australia H., Adapt Australia H., 3d MRC Sportingbet H.
MUSKET (03c, Riverman, Roberto). 4 wins from 1200m to 1600m, A$308,250, STC Shannon S., Gr.2, AJC Wales Truck Repairs Welter H., National Jockeys Celebration Day H., STC Spring Carnival H., 2d AJC Japan Racing Association P., L, STC Sky High S., L, Royal Parma S., L, 3d STC Furniture One Group H., Fairfield RSL H., 4th Newcastle JC Newmarket H., Gr.3. ROCK MAGIC (09g, Bubble Gum Fellow, Rory's Jester). 12 wins to 1400m to 2016-17, A$809,016, WATC Colonel Reeves S., Gr.3, Prince of Wales S., Gr.3, Beaufine S., L, Idyllic Prince S., L, Farnley S., L, ATC Become an ATC Sponsor H., TAB Number 1 Club H., WATC Paul Quartermaine 60th Birthday H., Perth Racing on Facebook & Twitter H., Tabtouch.com.au H., 2d WATC Colonel Reeves S., Gr.3, HG Bolton Sprint, L, Belmont Newmarket H., L, Westspeed Sprint H., 3d WATC Winterbottom S., Gr.1, Idyllic Prince S., L, Scenic Blast S., L, Beaufine S., L, Northam S., L, ATC Kokoda H., Scone RC Segenhoe Stud H.
SHE'S CLEAN (08f, End Sweep, Pleasant Colony). 10 wins to 1400m to 2015-16, A$705,170, Newcastle JC Tibbie S., Gr.3, ATC June S., L, Triscay S., L, SCSI H., Altona Electrics H., Tooheys New H., Nitto H., Ascend Sales Trophies H., Michael Hansell Signs H., TAB Place Multi H., 2d MRC Summoned S., Gr.3, ATC Canterbury BMW 40 Years of M H., VRC Chanteclair H., 3d VRC Lavazza Short Black P., Gr.3-twice, Brian Beattie H., Daniel Maher H., MRC Hockingstuart P., ATC Gosford Quarries P., Hyland Race Colours H., Shufflemaster H., 4th ATC Nivison S., Gr.3, BRC Glenlogan Park S., Gr.3, ATC Festival S., L, BRC Juanmo S., L, Bright Shadow H., L.
STRAWBERRY BOY (08g, Strawberry Road, Bombay Duck). 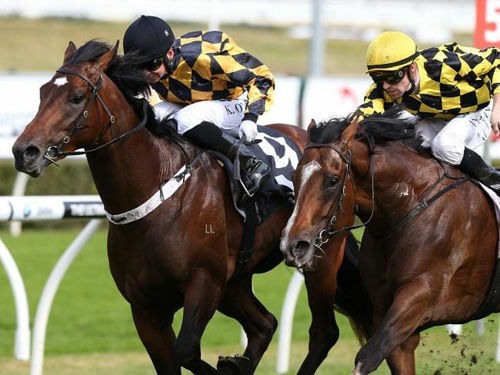 9 wins from 1300m to 1600m, A$869,550, BRC Lord Mayor's Cup, Gr.3, Wayne Wilson S., L, Hawkesbury RC Ladies Day Cup, L, VRC Secondbite Fresh Food Rescue H., MRC Chase Hotel H., ATC Carnes Hill Marketplace H., NSW Tatt's RC Paul Noble Mile H., 2d MRC Moonga S., Gr.3, Newcastle JC Newmarket H., Gr.3, GCTC Magic Millions Cup, L-twice, 3d ATC Villiers S., Gr.2, Kingston Town S., Gr.3, Colin Stephen H., Gr.3, Festival S., L, MRC BMW H., ATC TAB Royal Randwick H., 4th MRC Sir Rupert Clarke S., Gr.1, ATC Theo Marks S., Gr.2, Hawkesbury Gold Cup, Gr.3. BID SPOTTER (05g, Sir Tristram, Diesis). 9 wins from 1500m to 2400m, A$599,345, TRC Hobart Cup, Gr.3, ATC Manion Cup, L, City Tattersalls Club Cup, L, AJC Secret Savings H., BRC GJI Data Intelligence H., Goa Get Noticed H., AJC SCCF K Callander Fellowship H., STC Hyland Race Colours H., 2d STC Frank Underwood Cup, L, BRC Rochele Painting H., 3d AJC Breeders' P., L, Australia Day Cup, L, GCTC Magic Millions Stayers Cup. DYSTOPIA (06f, Luskin Star, Vain). 7 wins to 1300m, A$642,230, VRC GH Mumm S., Gr.3, ATC Triscay S., L, Toy Show H., L, Schweppes H., AJC Numberoneclub.com.au H., ATC Union Hotel H., STC Freeway Hotel Super TAB H., 2d ATC Premiere S., Gr.2, VRC GH Mumm S., L, AJC Order Your Christmas Fare H., Sharp H., ATC Chifley Financial Services H., Blackwoods Galmet H., Vinery Stud H., STC TAB Number 1 Club H., Inglis BC3 Future Stars Sale H., 3d ATC Theo Marks H., Gr.2, BRC Bright Shadow H., L, MRC Kevin Hayes S., L, STC Myer H., 4th ATC Galaxy H., Gr.1, Sapphire S., Gr.2, VRC GH Mumm S., L.
RED LORD (03g, Zabeel, Noble Bijou). 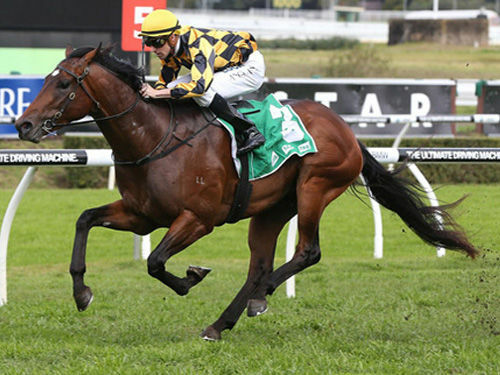 7 wins from 1400m to 2800m, A$580,765, MRC Naturalism S., Gr.3, STC Parramatta Cup, L, Premier's Cup, L, Merrylands RSL Club H., AJC Guineas Day at Randwick H., VRC Lavazza Long Black H., 2d STC Kingston Town S., Gr.3, VRC Antler Luggage H., 3d South Australian Derby, Gr.1, 4th MRC Sandown Classic, Gr.2, AJC Randwick City S., Gr.3, MRC Coongy H., Gr.3, VRC St Leger, L, MRC Heatherlie H., L, Naturalism S., L.
COUNTERATTACK (12c, Snippets, Vain). 4 wins-1 at 2-to 1350m to 2015-16, A$594,375, BRC Fred Best Classic, Gr.3, ATC Heritage S., L, City Tatt's RC Brian Crowley S., L, ATC TAB Place Multi 2YO H., 2d ATC Theo Marks S., Gr.2, Arrowfield 3YO Sprint S., Gr.2, VRC Tab.com.au S., Gr.2, ATC Hyland Race Colours 2YO H., TAB Place Multi 2YO P., 3d VRC Coolmore Stud S., Gr.1, ATC Eskimo Prince S., Gr.3, CFMEU West Tradies 2YO P., 4th BRC Champagne Classic, Gr.2, Sires' Produce S., Gr.2. SCISSOR KICK (11c, Quest for Fame, Niniski). 4 wins-1 at 2-to 1300m, A$534,075, ATC Up & Coming S., Gr.3, Eskimo Prince S., Gr.3, Rosebud H., L, More Than Ready 2YO H., 2d ATC Golden Rose S., Gr.1, Stan Fox S., Gr.2, 4th ATC All Aged S., Gr.1. 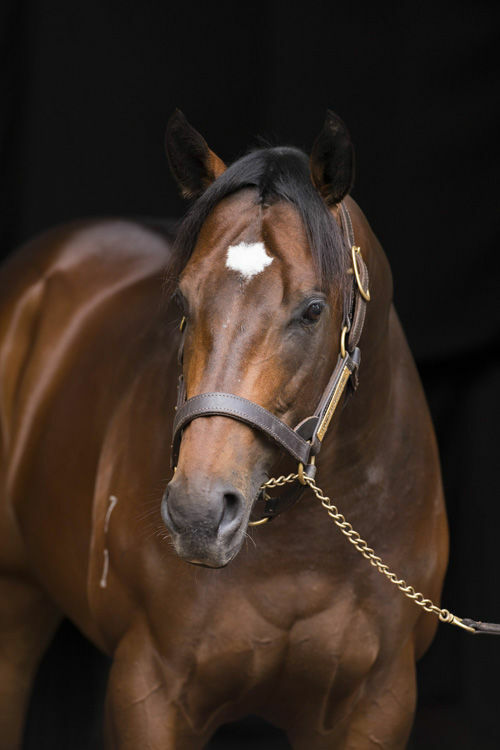 His sire sons include Snitzel (47), Not a Single Doubt (35), Stratum (31), Nadeem (13), Beneteau (10), Fast 'n' Famous (8), Bradbury's Luck (8), God's Own (7), Lucky Unicorn (5), Al Samer, Coats Choice, Duelled, Time Thief, Mutawaajid, Musket, Elzaam, Delightful Choice, Mearas, etc. KEBEDE (f. by Redoute's Choice). 4 wins from 1200m to 2000m, A$198,460, in 2015-16, BRC The Roses S., Gr.2, Secutor Securities H., 2d BRC Rosie Eccles P., 3d Gold Coast Bracelet, L, 4th SCTC Princess S., L.
PANZER DIVISION (c. by Redoute's Choice). Subject horse. Tirarri (f. by Choisir). 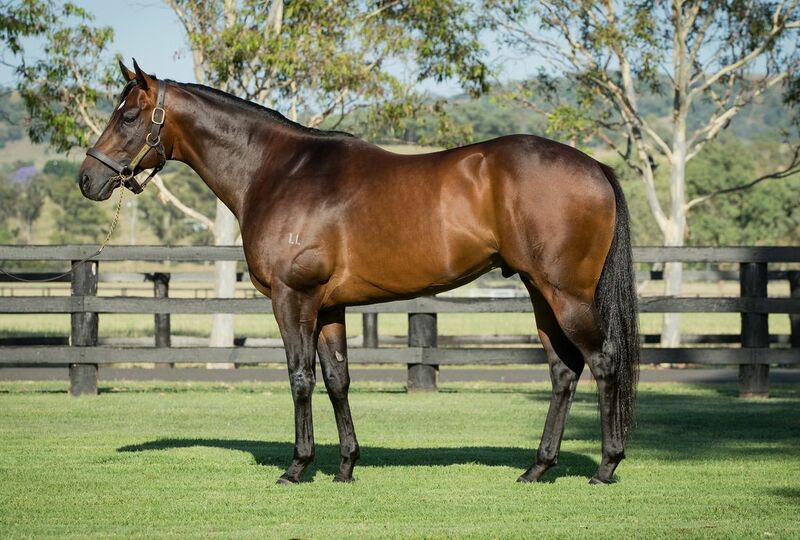 3 wins at 1300m, 1600m, BRC Sequalo at Lyndhurst H.
Fighting Flyer (f. by Fastnet Rock). Placed at 3 in Aust. DESERT FIGHT (Hussonet). 6 wins. See above. Dayala. 12 wins-1 at 2-to 1300m to 2015-16 in Chile, Valparaiso Clasico José Maritano, 2d Club Hipico Premio Kiss Me Baby. Borano. 3 wins at 1000m, 1200m in 2015-16 in Chile. Gran Zulu (Hussonet). 7 wins from 1300m to 1900m in Chile, 2d Valparaiso Clasico Juan S Jackson, Gr.2, Clasico Municipal de Vina del Mar, Gr.2, Clasico Alfredo LS Jackson, Gr.3, Hipodromo Chile Clasico Ejercito de Chile, L.
Burn the Floor. 5 wins from 1300m to 1900m in Chile, Club Hipico Premio Bomberos de Chile. Rodroy. 22 wins in Chile. Tadmur. 3 wins at 1100m in Chile. Si Sabe. 9 wins to 1200m in Chile, Hipodromo Chile Premio Selección Chilena Femenina, 2d Hipodromo Chile Clasico Yumbel. Chantiguel. 2 wins-1 at 2-at 1200m, 1300m in Chile, Hipodromo Chile Premio Umdo. Solterito Soy. 6 wins-1 at 2-at 1000m, 1100m in Chile, 3d Club Hipico Premio Gritti Palace. El Sergiño. Winner at 2 in Chile, Hipodromo Chile Premio Acapulco, 2d Hipodromo Chile Premio Tanteador. Don Eugenio. 6 wins at 1100m, 1200m to 2015-16 in Chile, 2d Club Hipico Premio Nal Rashid. Mozinha (Mocito Feliz). Winner. See above. AXEL VON GEORGY (Romiano). Champion 2YO Colt in Chile in 1998. 15 wins-4 at 2-from 1300m to 1700m in Chile, Valparaiso Copa de Plata, Gr.1, Clasico Valparaiso Sporting Club, Gr.2, Clasico El Estreno Nicanor Senoret, Gr.2, Club Hipico Clasico Alvaro Covarrubias, Gr.3, Clasico Luis Subercaseaux E, L, Valparaiso Clasico Victor Raby, L, 2d Club Hipico Clasico Alberto Vial Infante, Gr.1, Valparaiso Clasico Stud Book de Chile, Gr.2, Club Hipico Clasico Ismael Tocornal, L, 3d Gran Premio Polla de Potrillos, Gr.1, Club Hipico Clasico Nacional Ricardo Lyon, Gr.1, 4th Clasico Valparaiso Sporting Club, Gr.2. Rangoso. 11 wins in U.S.A. and Chile.